Editor’s note: Although this item describes a case in Australia, the information could be valuable to anyone who goes to a Chinese herbal medication practitioner. A preparation prescribed by a Chinese herbal medication practitioner in Melbourne, Australia for back pain resulted in life-threatening heart changes, prompting a team of intensive care and emergency physicians to call for appropriate patient education by practitioners who prescribe complementary medications. 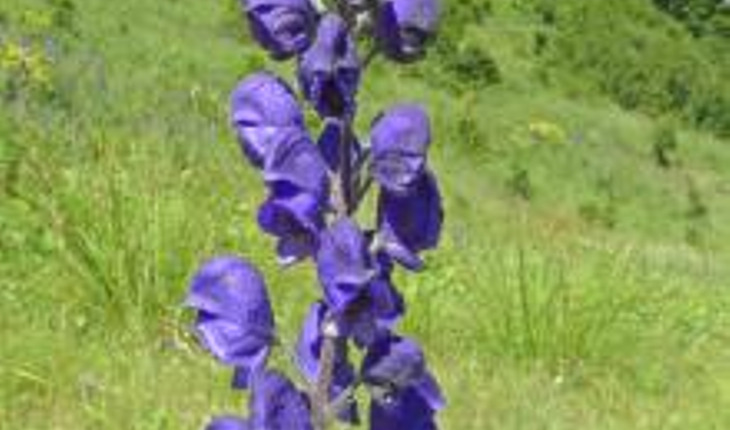 An article published in August 2014 in Emergency Medicine Australasia, the journal of the Australasian College for Emergency Medicine, described the case of a woman who began experiencing facial tingling and numbness within minutes of ingesting a preparation containing the plant aconite, also known as wolfsbane or devil’s helmet. These symptoms were followed by nausea, vomiting, diarrhoea and abdominal pain 30 minutes later. The paper was written by emergency medicine trainees Dr. Angelly Martinez and Dr. Nicky Dobos from the Intensive Care Unit at the Royal Melbourne Hospital and emergency medicine trainee Dr. Joe-Anthony Rotella and emergency physician Dr. Shaun Greene from Austin Health. A release from the publisher notes that the patient was given verbal instructions by the Chinese herbal medicine practitioner to boil the mixture of plant and animal material for 45 minutes prior to ingestion, although she boiled it for only 30 minutes. By the time she was admitted to the emergency department, she had developed severe cardiovascular toxicity, which required admission to the intensive care unit. The Chinese herbal practitioner reported prescribing “Chuan Wu”, “Cao Wu” and “Fu Zi” to improve general circulation and reduce musculoskeletal pain. There is no commercially available biological assay for aconite in Australia. “Chuan Wu”, “Fu Zi” (both derived from Aconitum carmichaeli) and “Cao Wu” (Aconitum kusnezoffii), are the most common forms of aconite used medicinally. This case illustrates the potentially lethal nature of aconite poisoning. Chinese herbal medicines are being used increasingly in Australia, as the Chinese immigrant population increases. “Regulatory agencies should enact measures to ensure patients are provided with accurate advice regarding safe use of Chinese herbal medicines,” Dr. Greene said.